Bridget joined the Organizing Professionals® in 2015 and it’s her friendly voice you’ll hear when you call us to schedule your consultation or book organizing sessions. In 2017 Bridget transitioned from Senior Professional Organizer to Director of Administrative Services. Her prior experience as a professional organizer makes her the perfect person to answer any organizing questions or concerns. 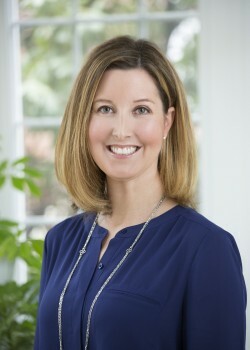 Bridget graduated from the University of Scranton with a BS in accounting and received her CPA license in 2002. Bridget previously worked for PricewaterhouseCoopers and Ernst and Young.